This program will not only certify you to teach Qi Gong, but will be a journey into life-force energy (Qi), leading to an awakening of the self. On this journey, you will emerge with resources, tools, and techniques for health, healing, longevity, and a deeper connection to life itself For a Qigong Certification. 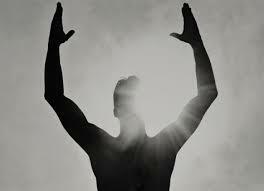 The word Qi Gong signifies “an expertise at working with life-force energy”. Through this program you will truly become an expert at working with Qi and life-force energy. Whether you want to just delve deeply into your own personal energy practice or for those who want to become a Qi Gong Teacher, this training will infuse you with light, energy, and a deep connection to your unique purpose. The program will include 3 Levels of practice and Qigong certification that will take place over 4 weeks throughout the year. Each week will have a unique focus on one of the main facets of Qi Gong practice. Depression is mood disorder that may include feeling sad, anxious, irritable, hopeless, and losing interest in activities once found pleasurable. Medication is often used to treat depression, but many people do not respond fully to medication alone. A greater reduction of depressive symptoms Improvement in physical functioning Improvement in cognitive tests A decline in inflammation throughout the body Numerous studies have shown that any sort of exercise has a positive impact on mood. Qi Gong as a gentle exercise, with its emphasis on deep breathing and a meditative state of mind, makes it an ideal treatment for mood disorders. What is Medical QiGong Videos ? Fibromyalgia Depression Weakened immune system Parkinson's Disease Arthritis Diabetes High blood pressure (hypertension) Chronic fatigue syndrome Breast cancer In much the same way that physical therapy uses specially designed exercises for medical purposes, Medical Qi Gong uses specially designed Qi Gong routines to treat disease and medical conditions. 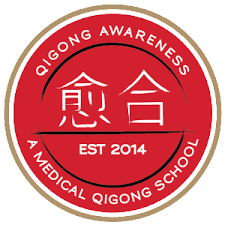 Medical Qi Gong is one of the core forms of medical treatment in Chinese medicine, along with acupuncture and herbal remedies. While any kind of Qi Gong provides numerous benefits to the whole body and mind, medical Qi Gong zeros in on a particular problem. Doctors often prescribe it in China as a primary prescription for disease and ailments. QiGong (pronounced "chee gong" and alternatively spelled as "qigong," "qi gong," or "chi kung") is sometimes called “the new yoga” - but the practice dates back thousands of years to ancient China. The word “qi” (or “chi”) means “life force” or "vital energy of the body," and “gong” means accomplishment or skill that is cultivated through steady practice. QiGong Videos is specifically designed to cultivate the body's vital energy, using it to heal and strengthen every system throughout the body. Thus, qi gong means “cultivating energy,” and it involves working with energy to strengthen and cleanse the body. 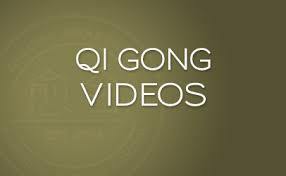 Using these Qi Gong DVDs, CDs, and videos will improve your relaxation, reduce pain, and improve your health. Master Instructor David teaches the art of movement through meditation in this 34 minute QiGong Videos program. Combining exercise, stretch, flowing movements, and mindfulness, this ancient form of exercise is poetry through movement. What if you could combine the benefits of exercise with mind calming power of meditation? Everyone knows that exercise delivers amazing health and longevity benefits, but fewer people are aware of the power of meditation. Research suggests that meditation slows down the aging process and contributes to overall health and well-being, while also cultivating creativity and mental clarity. Qigong is the art and skill of working with the body, breath, mind, and subtle energies to attain health, vitality and longevity. 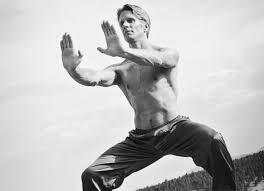 A good Qigong practice is best if it is pleasant, energizing, fulfilling, interesting. For some people, even the simple moves of basic Qigong can be too much for them. Perhaps because of an injury or chronic problem, they can’t lift a shoulder, or turn an elbow. Or standing up to practice may be overwhelming. Or maybe they are so tired they can’t put much thinking energy, much mental focus on even slightly involved movements. The light exercises that are fairly easy to learn are yet too much to perform. In such cases, self-healing Qigong videos can be modified to even simpler, easier formations. They can still benefit from practicing some qigong videos. Qigong, properly approached will give them gifts of healing so they can get past their pain, tiredness, confusion, recent illness, or recent trauma. This is a good question and it comes up a lot in my workshops. 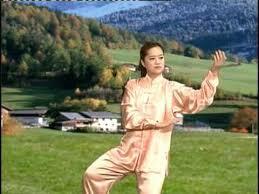 There are so many theories about when is the best time to practice by Qigong videos. Some talk about certain hours to feed certain organs, some discuss connecting with various stars at specific times. Theories abound. The problem with theories is that many disagree with each other... and many aren't proven... such is the way of theories.